Innocent has cancelled plans to bring its summer festival back to London's Regent Park after struggling to sell tickets. The family festival was to return to the capital after a three-year break on Sunday 22 July, a week before the Olympics start. The drinks brand is the official smoothie and juice of the London 2012 Games. Agency Itch was working with the smoothie brand on the event. Tamsin Wigley, partner at Itch, told Event it was a difficult decision to cancel the festival. "With all the exciting events taking place this summer and the current weather conditions, we were struggling to gain a cut through in the market." The festival was to feature a host of fruit-related sports day pursuits, including the 100m lemon and spoon race, the squash-put and a marrow-thon. Wigley said Innocent is focusing on "bringing the event back next year". 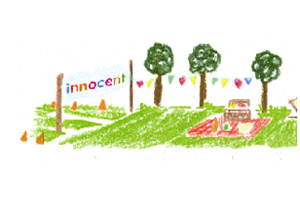 Innocent is the latest in a string of summer events to cancel. Event reported last week that the Scipmylo festival abandoned plans for a cultural event on Hackney marshes during the Games due to lack of funds. To leave a comment login and let us know what you think below. For more print-only Olympics as well as interviews with leading brands and Olympic sponsors, don't miss the next issue of Event magazine by subscribing here.